4moms Universal Starter Set is your go-to for keeping your little ones bowls and plates in place on the tray of the 4moms Highchair. Using magnetic magic, the Universal Starter Set helps to minimise the mess and helps to prevent unwanted spills. The 4moms Universal Starter Set is a brilliant choice for keeping bowls and plates in place on the tray of the 4moms Highchair. These feeding accessories have been specially designed with easy cleaning in mind, and are also dishwasher safe. Additionally, the ergonomically shaped utensils help to improve your little ones grip. 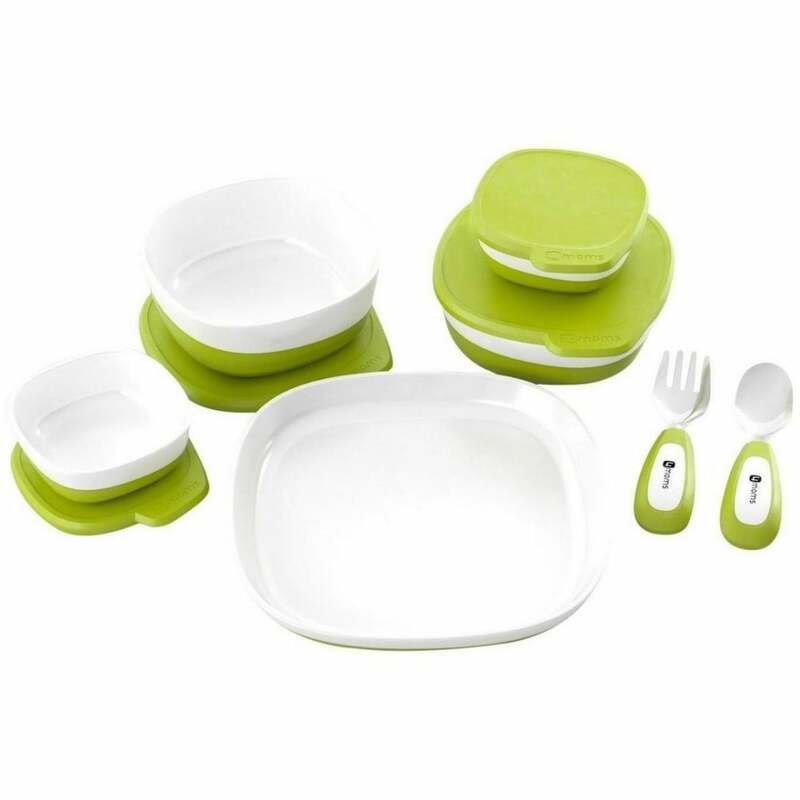 The bowls and plates from the 4moms Universal Starter Set feature an anti-slip rubber surface on the underside. This helps to prevent spills when used on a non-magnetic surface!